If no one has told you yet, I’ll surely do the honors: Happy Thanksgiving, y’all. Among the many things I’m thankful for is your roaming eyes on my page. Thanks from the bottom of my heart for the comments, likes and other props. It’s deeply appreciated. Thanksgiving is my favorite holiday for so many reasons, but if someone pushed me for an explanation it’s because of all the memories produced on the day. One that sticks out the most is the last Thanksgiving with my Nana. The most beautiful brain image EVER!! At the risk of sounding sappy, I think it’s important that everyone have at least one experience like that with their friends and family. Rappers Meek Mill and Big Sean helped to make it happen by giving back to their communities. 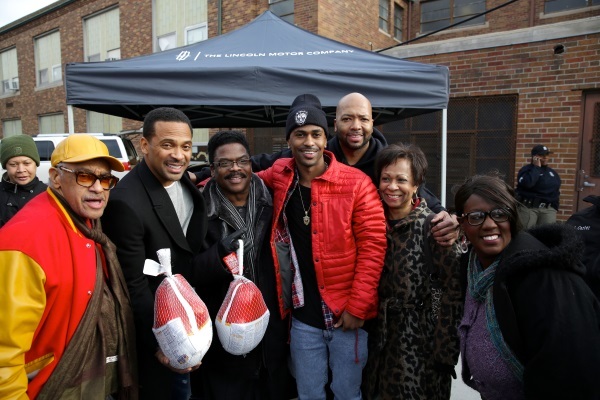 Yesterday, Big Sean, along with comedian Mike Epps handed out turkeys to fellow Detroiters through his Sean Anderson Foundation, and then visited a local Boys and Girls Club. 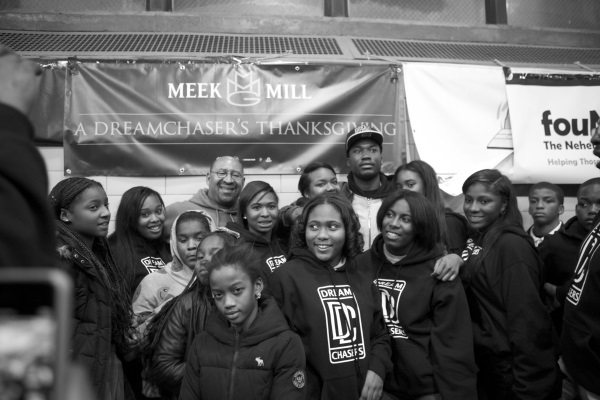 Philly raised me and made me into the man I am today, so to do the first annual ‘A Dreamchaser’s Thanksgiving,’ was an obvious thing to do. I’m blessed to be in a position where I can make sure that as many people as possible have a meal on Thanksgiving, so that they can be with their loved ones to enjoy the holiday. So inspiring. I’m loving the hearts thrown Philly’s way. Even from lil Kevin.